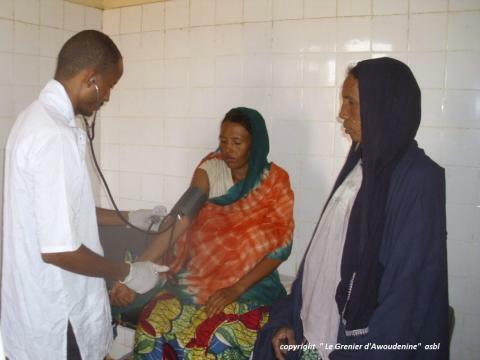 The organisation Le Gernier d'Awoudenine endeavour to increase the food security and to improve the health of some 120 Tuareg families who were brought to settle. Their mission is to provide the necessary funds to launch development activities in partnership with the local management committee of this Tuareg community. Audit info : These figures result from the annual accounts which will be verified by Fisco Zone bvba-sprl, accountants BIBF-IPCF, 70042484. The available amounts on 31/12/2017 are 3.877 €. The available amounts are defined as the difference between the current assets and the sum of debts and provisions. Audit info : These figures result from the annual accounts which have been verified by Fisco Zone sprl-bvba, accountants IPCF-BIBF, 70042484. The available amounts on 31/12/2016 are 4.346 €. The available amounts are defined as the difference between the current assets and the sum of debts and provisions. The available amounts on 31/12/2015 are 1.224 €. The available amounts are defined as the difference between the current assets and the sum of debts and provisions. Audit info : These figures result from the annual accounts which have been verified by Fisco Zone sprl-bvba, accountants BIBF-IPCF, 70042484. The available amounts on 31/12/2014 are 0 €. The available amounts are defined as the difference between the current assets and the sum of debts and provisions. The available amounts on 31/12/2013 are 1.433 €. The available amounts are defined as the difference between the current assets and the sum of debts and provisions. Audit info : These figures result from the annual accounts which have been verified by Fisco Zone sprl-bvba, accountants BIBF-IPCF nr70042484. The available amounts on 31/12/2012 are 691 €. The available amounts are defined as the difference between the current assets and the sum of debts and provisions. Audit info : These figures result from the annual accounts which have been verified by Fisco Zone sprl/bvba, accountants members of the BIBF-IPCF. The available amounts on 31/12/2011 are 342 €. The available amounts are defined as the difference between the current assets and the sum of debts and provisions.